Apple’s interest in fingerprint sensors isn’t new, but its acquisition of AuthenTec last year fueled speculation that the next generation iPhone will offer a high-level security feature as a direct result of this purchase. 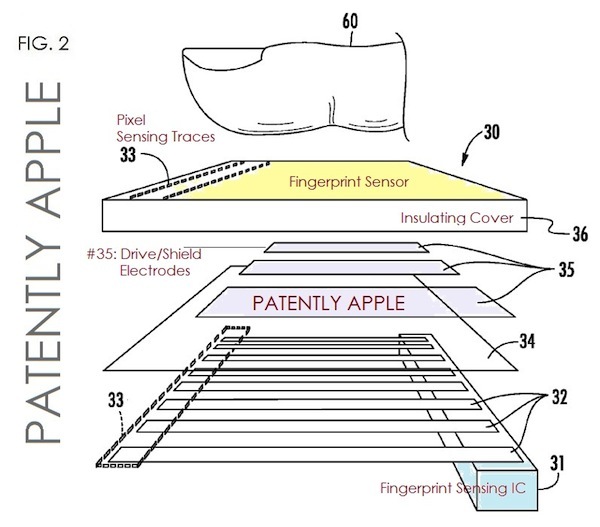 Today the US Patent and Trademark Office published a patent application from Apple – spotted by Patently Apple – which reveals the technology behind the fingerprint sensor. This sensor, if rumours are correct, will likely be the killer feature of the iPhone 5S. 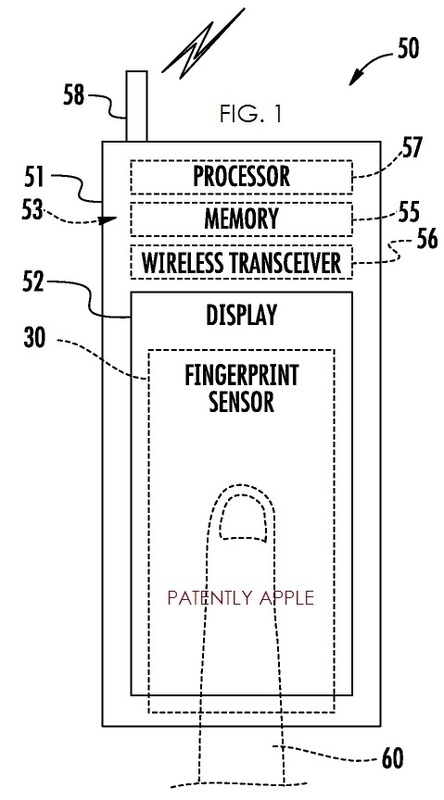 The patent details on the technical steps involved in placing a fingerprint sensor into a touchscreen device have highlighted the importance of separating the fingerprint sensing integrated circuit (IC) from the finger sensing area. This could be advantageous if the finger sensing area is relatively thin and transparent, able to be placed over a display screen of the device, so that the IC can be located nearby in a non-display region of the handset. 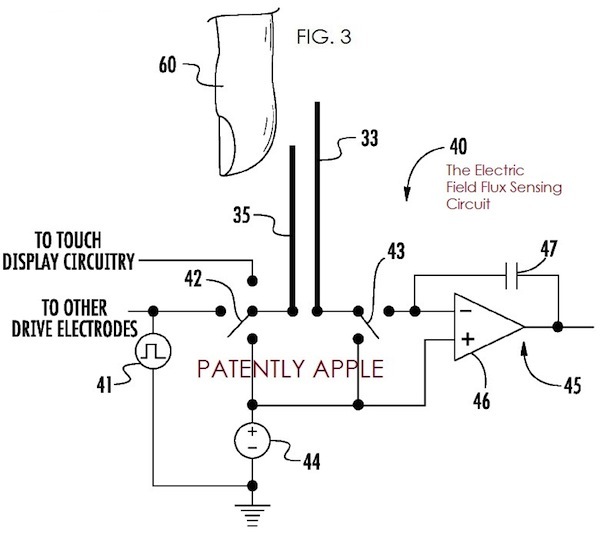 Apple’s patent describes the company’s solution for a finger sensor which can generate a reduced noise finger measurement and can be placed at a relatively wide distance from the finger-sensing integrated circuit. When used the fingerprint sensor will function by measuring electrical flux: a switch will couple a drive/shield electrode to touchscreen circuitry, a finger drive source and voltage reference. Another switch will couple a pixel sensing trace to the field flux sensing component and the voltage reference. In operation, a user’s finger is swiped or positioned on top of the drive/shield electrodes #35 in the finger sensing area #32 where the pixel sensing traces are not covered by the drive/shield electrodes. 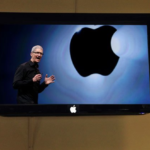 The patent credits the co-founder and VP of Research at AuthenTec, Dale R. Setlak, as the inventor. It was first filed in Q1 2013.